We’ve found your perfect fall uniform! Individually, sweaters and skirts are both closet staples, but when combined, the two are unstoppable as the perfect season-to-season transitional pairing. 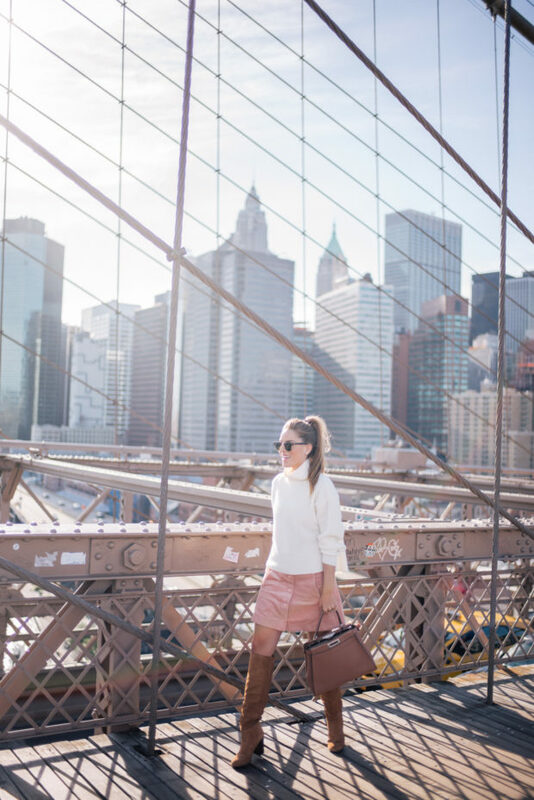 The sweater and skirt pairing has proven itself a go-to outfit that brings instant polish. The formula has the ease of a dress with the added advantage of more mixing and matching possibilities. There’s no doubt that a sweater-and-skirt set makes for the perfect in-between season uniform: Shorter skirt hemlines help cool off legs during warmer days, and cozy knits keep you from getting chilly on crisp nights. To further illustrate our point, we gathered eight sweater and skirt combinations that will leave you excited and ready to greet the new season. Scroll down for instant outfit inspiration!